The Daily Telegraph is the UK’s #1 news brand. Through its newspapers, mobile apps, website, and magazines, the Telegraph reaches 2.1M viewers every day. The Telegraph had previously outsourced IT service management. “We were suffering from poor resolution times and lack of transparency,” says Carol Johnson, head of service delivery and operations at Telegraph Media Group. The company decided to move its IT Operations and service desk in-house. “We had to find a service management solution, build and implement it in under three months. I felt that was impossible,” says Johnson. 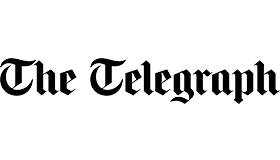 Daily Telegraph turned to Valiantys, a leading Atlassian Expert partner, who recommended Jira Service Desk. Together, Valiantys and the Telegraph implemented Jira Service Desk, and within three months, the IT team was up and running, self-sufficient, and delivering improved support to customers. By integrating Jira Service Desk with Jira Software, the IT and Software Development teams are able to collaborate more often and solve problems faster. The IT team also integrates Jira Service Desk with Confluence to provide a self-service knowledge base where employees can search and find solutions to frequently raised issues. "Jira Service Desk has been a game-changer for us. We are changing the way we work, our behaviors, and we’ve managed to do it in three months, which is unbelievable,” says Djamal Mirza, build and release analyst at the Telegraph. Within three months of the rollout, IT improved its time to resolution by 66%, reduced call-waiting time by 50%, and increased customer satisfaction by 140%. The team was also able to reduce its change management approval process from eight days to one day. Take us for a test drive! We think you'll like these stories, too.